Create an apron that's not only cute but useful for crafting! 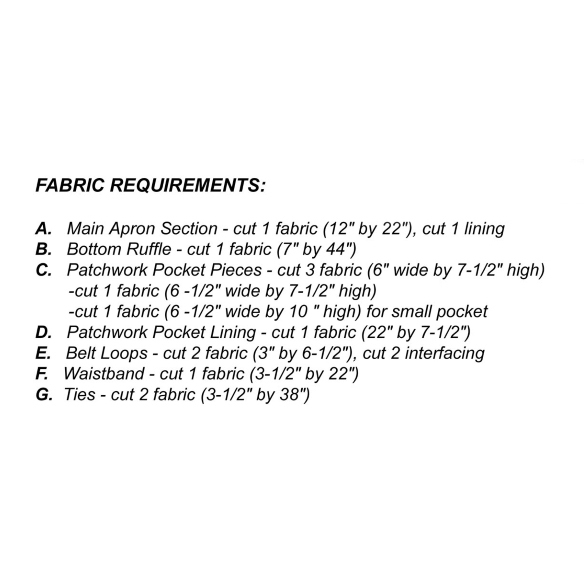 The apron has seven pockets in varying sizes for holding all your necessary tools. A flirty ruffle on the bottom edge adds the perfect touch. The finished size is 21" Wide x 15" high; Pockets are 6" deep. Apron was designed by Lynn Jeffries for The Handmaiden's Cottage.